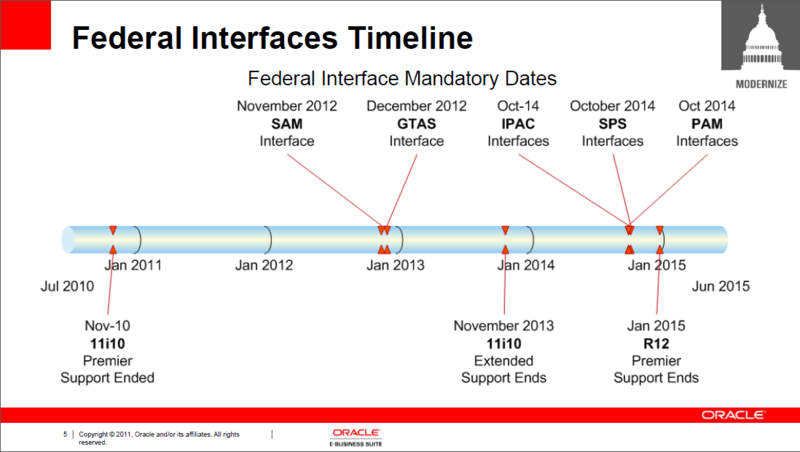 I was able to get a copy of the E-Business Suite Federal Financials Update slides presented at this year’s Oracle Federal Forum on October 18th. Most of the content revolves around the upcoming Federal interface changes and transition to the Governmentwide Treasury Account Symbol Adjusted Trial Balance System (GTAS) to replace FACTS I & II. I’m sure these changes are definitely going to keep us busy! !